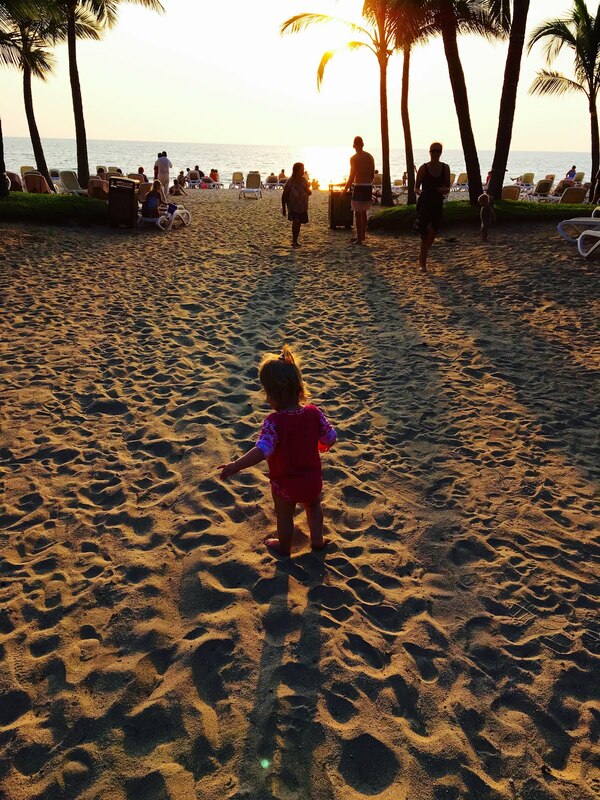 There are a lot of stories I could tell about our recent family trip to Mexico. But there's really only one that I feel I need to tell. 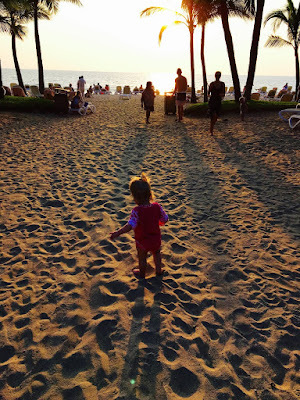 On our third full day in Puerto Vallarta, we took a late afternoon walk with Avery down the beach. On the way back to our hotel, the sun was starting to set and the beach was clearing out. Avery, normally an enthusiastic walker, was still struggling with the effects of a cold and for once wanted me to hold her. She sat on my hip, one thumb in her mouth, the other little hand hooked around my arm, head occasionally dipping to rest on my shoulder. As we neared our hotel, I noticed a Mexican family wrapping up their day at the beach. The mother was standing just at the edge of the surf holding her baby -- a darling little boy, not more than a year old. The father was packing up their things, gathering bags and toys and towels, but the mother looked in her own little world, so peaceful holding her baby. As we got closer, I smiled at her (these days, I find it impossible not to smile at mothers and babies). For just a few fleeting moments we locked eyes. She returned my smile. This woman and I probably have nothing in common beyond the fact of our motherhood. We are not citizens of the same country. We do not speak the same native language. I will never know her stories or how she came to be on the beach that day. I will never know her name. She will never know mine. We spoke no words, and I never stopped walking. But in that moment as we both stood holding our babies, our feet in the Pacific Ocean, the sun sinking into the water, none of that mattered. Our smiles got wider. We held each others gaze just a few beats past polite. And all of the barriers -- language, country, culture, lifetimes of stories and memories, all the trappings of "who we are" -- fell away. In that moment, I knew her heart. And mine was known.